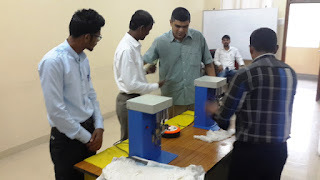 MUMBAI, 27-AUG 2016: In a bid to help 71 women from 35 Self-Help groups hone in on their entrepreneurial skills, Don Bosco Development Society (DBDS) organised a ‘Wick making workshop’ at the Don Bosco Provincial House, Matunga on August 26. The workshop was aimed at giving the women an opportunity to be ‘financially independent’. Atulya Jignaysa Charitable Trust trained them and provided them with the knowledge of sourcing raw material for the wicks. They were also taught how to operate the machine for production and finally market the wicks. Akash Gangurde, Manager of Punjab National Bank, spoke about the various schemes and loans available for women to do small scale businesses. Bansode, a retired Police Inspector, then encouraged the women to set up businesses to earn money. After the training workshop, Amit Jadhav, Chairman of Atulya, assured the women the support of his organisation in their ‘wick making business’. 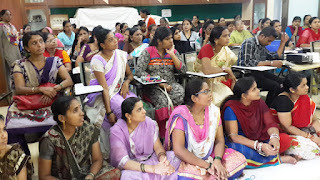 Manisha Dangle, from Savitri self-help group, added that Don Bosco must organise more workshops, so more women could learn how to earn money and support their families.